Thanks to today’s dozen or so volunteers, Gloucester’s DPW crew, and John and Jasmine from Mass Wildlife, our parking lot PiPl family made it through day one with flying colors (meaning all four chicks survived). It appears as if they are slowly advancing towards the beach. 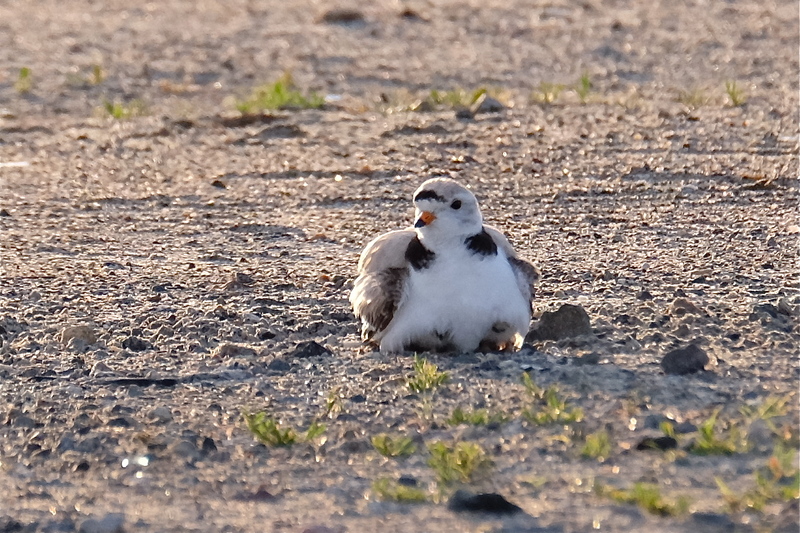 Plovers are active at night–perhaps they’ll make the migration tonight after the lot is closed–let’s hope. We need more volunteers, at least two per shift would be fantastic. More eyes equals better coverage. Please contact Ken Whittaker at if you would like to be a PiPl volunteer monitor kwhittaker@gloucester-ma.gov. This entry was posted in Birds, Birds of New England, Cape Ann, Cape Ann Wildlife, Gloucester Plover, Good Harbor Beach, Life at the Edge of the Sea, Piping Plover and tagged #SavetheShore, #shorebirdsgoingextinct, Beautiful Birds of Cape Ann, Charadrius melodus, Gloucester Plover, Good Harbor Beach, Good Harbor Beach parking, hours old Piping Plover Chicks, how you can help the plovers, nest, parking lot plovers, Piping Plover, Piping Plover nest, Piping Plover parking lot nest, Piping Plovers on June 9, 2018 by Kim Smith.